When visiting Miami Lakes, have lunch with us either inside or outside on the patio. In our deli you’ll find an assortment of delicious fresh Hot and Cold sandwiches and hot foods, prepared daily in our kitchen. 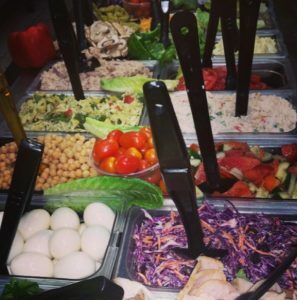 Our salad bar buffet features over 30 fresh ingredients, including specialty tossed and prepared salads, vegetables, fruits, cheeses and nuts. We also offer a daily selection of freshly prepared soups. Have a delicious and healthy Juices and Smoothies, made with real fruit. 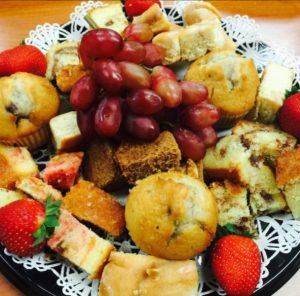 Our bakery offers fresh pastries and breads baked daily from scratch.